When Omnicare announced in late 2011 that they planned to move their headquarters from Covington across the river to downtown Cincinnati, it showcased the intense regional competition for jobs and economic development. Due to the region’s particularly fragmented setup of multiple states, counties, cities and townships, a myriad of governments and development entities tout their respective advantages in workforce training, tax incentives, and infrastructure access, to lure development from out of the area, but also from neighboring localities; and companies have been more than happy to float from one place to the next in order to take advantage of those incentives. Yet, data shows that while this desire to expand the local tax base is enticing, it amounts to little or no new jobs or income for the region as a whole. Rather, the habit is more cannibalistic in nature, especially given that cities today are competing not just with their neighbors, but also with far-flung metropolitan areas around the world. While both unique and similar Cincinnati in many ways, Milwaukee and its surrounding areas have taken a wholly different approach to that of Greater Cincinnati. When current Mayor Tom Barrett (D) was elected in 2004, he was intently focused on improving economic development within Milwaukee proper. To achieve this, local leaders came together to form the Milwaukee 7 – an economic development organization for the seven counties in the region. To help curb damaging intra-regional competition, the group agreed to a code-of-ethics where they promised to not steal jobs from one another, but rather focus on economic development cooperation. M7’s metropolitan business plan is now the foundation for regional development, but the group also recognizes that a thriving region is dependent on an also-successful inner-city. 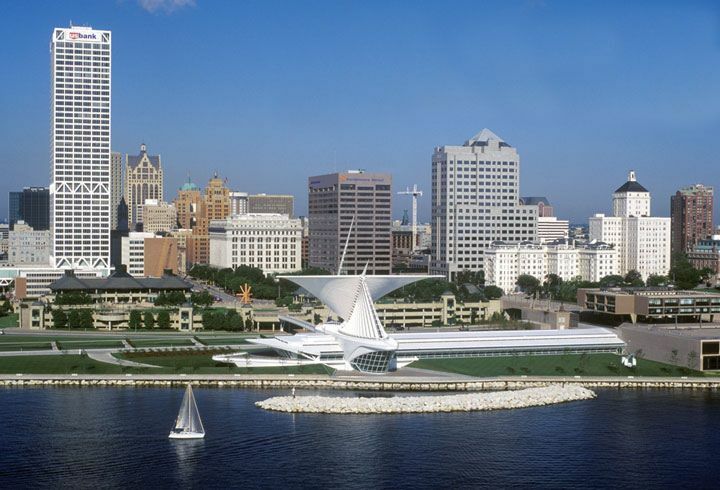 For this, the City of Milwaukee develops its own economic development plan that uses ideas from, and coordinates common areas with, the regional plan. This helps connects local revitalization efforts with regional economic development strategies. Again, rather than attempting to lure firms from outside the area, local officials recognized their competitive advantage in numerous areas and chose to reinforce those. Specifically, M7 identified the area’s competitive advantages in three areas: water technology; energy, power and controls manufacturing; and food and beverage. To ensure that the region remains attractive and stays on the cutting edge of business and technology, local officials have created numerous entities to promote and develop industry throughout the region. Each of the three industry clusters have a respective local organization that has developed clear-cut plans to encourage innovation and collaboration to grow the industry. Going a step further, the Milwaukee region has also created a global trade and investment strategy in order to attract foreign firms and capital. The results of this intra-regional collaboration have been positive. In November 2015, UrbanCincy published a story about Milwaukee’s burgeoning water industry that is transforming a once-decrepit manufacturing area into a modern industrial center. Like many other cities in the industrial Midwest, Milwaukee has hundreds of vacant industrial buildings and acres of abandoned land. Millions of dollars have been spent in redevelopment efforts, with areas like the Menomonee Valley seeing food and beverage industry expansion there, and a former Pabst Blue Ribbon brewery being converted into residential spaces to bring workers closer to the new jobs downtown. In a region with one of the highest percentages of concentrated poverty in the nation, officials are hoping the efforts will ensure that redevelopment and economic opportunities are broad-based and accessible. A regional talent partnership is being used to help grow talent that caters to the three industry clusters; and construction projects with public support are required to hire locally. Those firms help train and hire under-employed and unemployed Milwaukeeans through collaboration with organizations like the Wisconsin Regional Planning Partnership. In the low-income, northwest section of Milwaukee, an 80-acre brownfield site called “Century City” is being redeveloped into a Center for Advanced Manufacturing. And with development booming in downtown Milwaukee, funds generated from those investments are being redirected into numerous projects in other parts of the city, like transportation and community development organization funding. While it is too early to judge some of the results seen thus far, the Milwaukee region is now more productive than it was at the turn of the century, and it is adding both jobs and residents. At the same time, more citizens are employed, and wages in the area are higher than the national average. The Cincinnati region has, in recent years, begun making concentrated efforts at developing similar programs. However, many of the programs have been focused at the city-level. Until the region establishes a similar regional partnership that gets everyone working toward the same goals, it is unlikely that similar results will be seen here.